Dr. Thomas Winkelmann, born in 1959, graduated from the National University of Science and Technology «MISiS» (Engineer degree, 1983; Dr. science 1987). He was admitted as a Senior Adviser in Munich, Germany, in 2001, in a leading International consulting company and moved to the Ukrainian Office in 2003. Since 2016 Thomas is a partner in a Consulting Company in the Kiev office. Thomas concentrates on consulting services, due diligence and cross-border M&A transactions for corporate clients. Thomas is a sought-after guest speaker at various universities in Kiev and at business events of the international community. Thomas is married and has two daughters. He is 58 years old and lives in Kiev. In his private life Thomas, together with his wife is an ambitioned diver, and has a long lasting passion as enthusiastic hobby photographer. Countries of work experience: Ukraine, Russia, Germany. 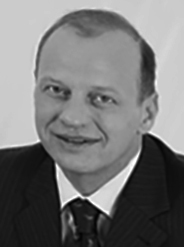 Dr. Winkelmann joined CBA as M&A Adviser in Kiev in December 2017.